I've just come back from a four-day getaway to Spain, Jávea to be specific. I visited this little town in the province of Alicante in 2012, so it was high time to go back for round two. I flew with Tui directly from Antwerp to Alicante, where my friend was waiting to pick me up. We sped off (after my first intro to driving an automatic car) to Jávea and jumped right into the pool when we arrived at the house. 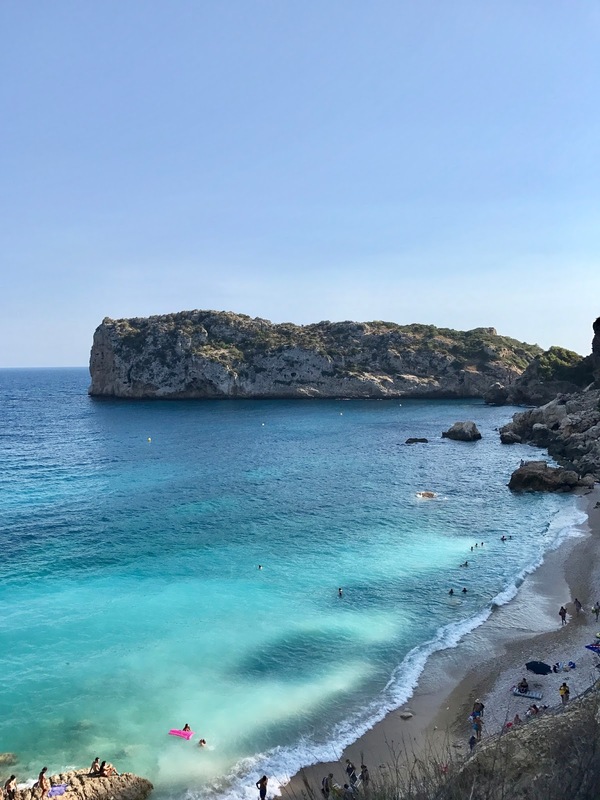 We spent the following days exploring beaches, markets, and bars, all of which I'll tell you about in this mini guide to Jávea. This is known at one of Javea's most beautiful beaches, so it's not a surprise that it's a busy one. During the busy summer months, you'll have to park your car in a parking lot and take a shuttle bus to the beach, which is quick and convenient. The beach is a rocky beach with beautiful turquoise water. You can rent chairs and there's a little restaurant so you can sit here comfortably all day. Best to come here in the morning because the parking lot fills up quickly. When you arrive at this beach, it might seem very small and crowded, but if you keep walking to the right you'll see that the beach stretches quite far so the further you go, the less crowded it gets. We found a spot pretty much for ourselves, further down. You'll need water shoes for this beach since the water is shallow and there are sea urchins everywhere. Not the best place for swimming I'd say. I loved the charming little white houses with blue doors and windows, it reminded me of Greece! This was by far my favorite beach. It's a bit of pain to reach because there's no parking lot so you'll have to park along a road which is super narrow and on a cliff. If you want a good spot not too far from the beach, come early. It's a bit of a walk down but then you'll find the most beautiful pebble beach with stunning turquoise water. It's a nudist beach, but plenty of people wear bathing suits so you can do as you please. Because it's a nudist beach, there are no screaming children which is a plus. I love love love this beach! * The first three pics below are Cala De Portixol, the others are all Cala Ambolo. Can you see why it's my favorite? 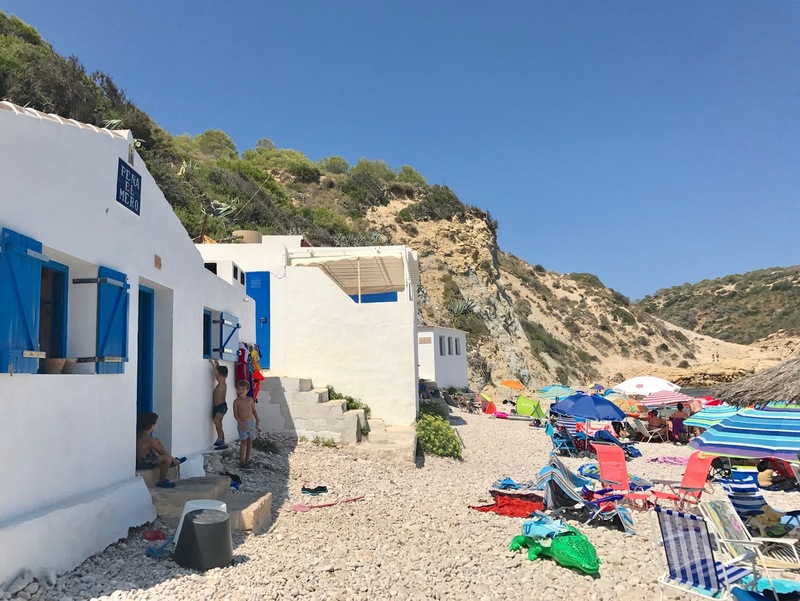 Cala Bandida: We cooked at home most days, but on our last night we wanted something special so we headed to Cala Bandida for dinner. The location is incredible, with views on the sea and beach. The menu is seafood-focused, so we shared some chopitos to start and an excellent vegetarian paella as a main. Accompanied by a jug of sangria. Perfectly Spanish. I've also heard that they do great breakfast here, which I don't doubt. Siesta: A nice mix of gigantic strong cocktails, pink lighting, palm trees, good music and feet-in-the-sand seats. 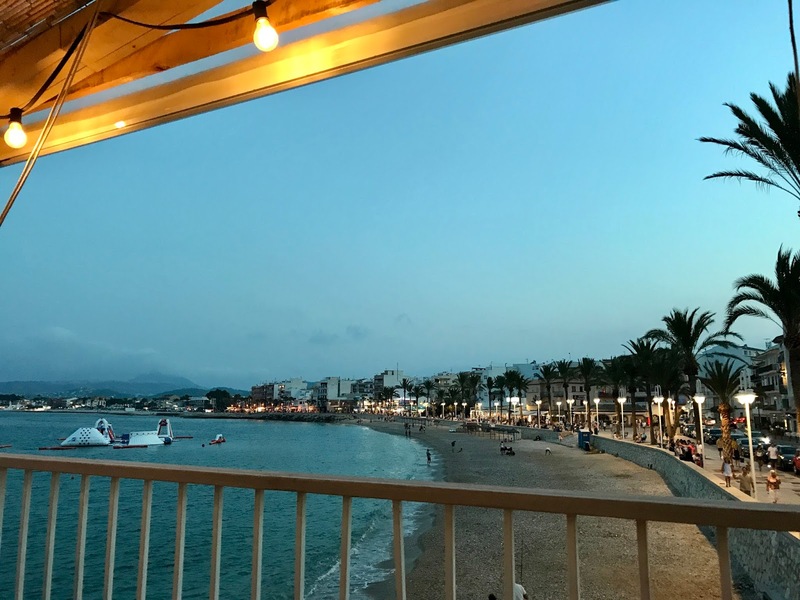 This is probably Jávea's coolest beach bar, I loved it. Bar Montgo: Located next to Siesta, this is a more relaxed and chill beach bar. A perfect spot for meeting friends before a night out. Achill: We spent many (if not all) night at Achill in 2012. Turns out it's still the place to go out by the beach. It's the perfect combination of outdoor bar and indoor club. Moli Blanc: Although I didn't pay a visit this time, it's worth mentioning that this is the place to go if you want to party on a Saturday. It's a massive outdoor club, fun guaranteed. Portal De La Marina: If you want to take advantage of the lower prices at Zara, Massimo Dutti, Oysho, Bershka, Stradivarius & co., then you must go to this mall. It's a 20-minute drive from Jávea, so it's perfect to go on a cloudy morning/afternoon. Club de Tenis Jávea: This is a very nice tennis club in the center of town. It didn't seem too busy so I reckon it's usually easy to book a court. We played for an hour which was a perfect sweaty end to the day. 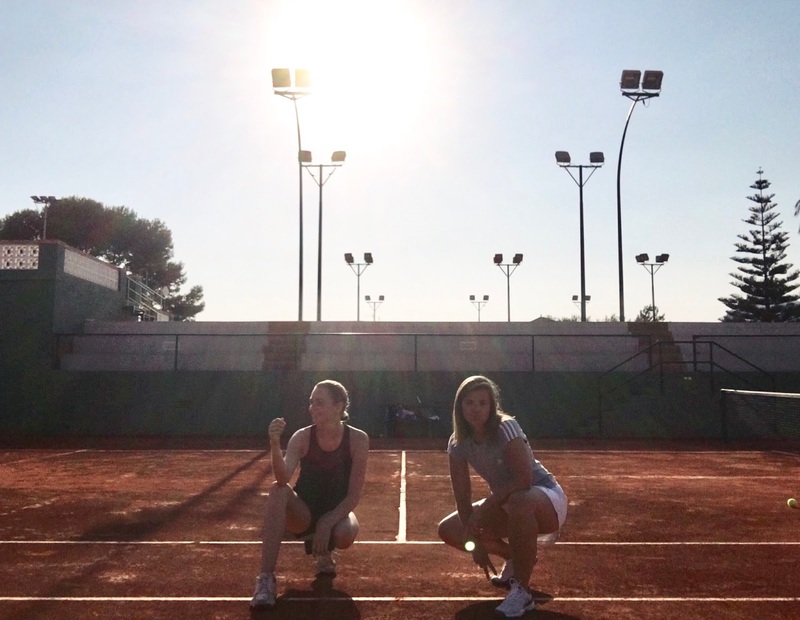 In Jávea, there are a ton of sports activities you can do. There's good snorkeling, diving, water sports and you can climb Mount Montgo which takes about 5 hours in total, but we didn't manage to do it this time. There are plenty of little hikes around that you can do, alongside the cliffs, which is beautiful around sunset. All of this is just a fraction of what you can do in Jávea, but it's what I've managed to do on my two visits. Have any of you been before? If so, I'd love to receive more tips in the comment!